This Christmas season brought lower prices on DVDs, in particular whole seasons (or complete series) of television shows. It’s now possible, with DVDs, DVRs, and streaming video, to gorge on a whole series of a television program you might have missed the first (or second or third) time around, without waiting for it to be cannibalized to make room for more commercials. Someone coined a term for it: binge-watching. And it's fast becoming the "normal" way people watch television. Now, I haven’t been able to stream Netflix like almost everyone else on the planet can (thanks to Hughesnet, which barely qualifies as having Internet), but I have been known to splurge on a DVD series or two. There are some clear advantages to binge-watching: You know exactly how many episodes you’re going to get. I have a tendency to fall in love with one season wonders. And there’s nothing worse than getting emotionally attached to a show only to discover that you were one of only four people watching it and the show won’t be renewed. You also don’t have to wait for those nasty cliffhangers to be resolved. And then there’s that whole no-commercials thing. On the flip side, you’re not able to participate in the Facebook, Twitter, or old-fashioned water-cooler talk about the developments on the latest episode. And you can’t really complain about spoilers—although I have seen people try. So, what has caught my fancy of late? Don’t ask me why, but Veronica Mars. I never watched the show when it was on television. But when someone who reviewed my novella compared it to the show, I decided I’d better catch an episode. It intrigued me. And when I found a deal to get the first season for around fifteen dollars I picked it up. 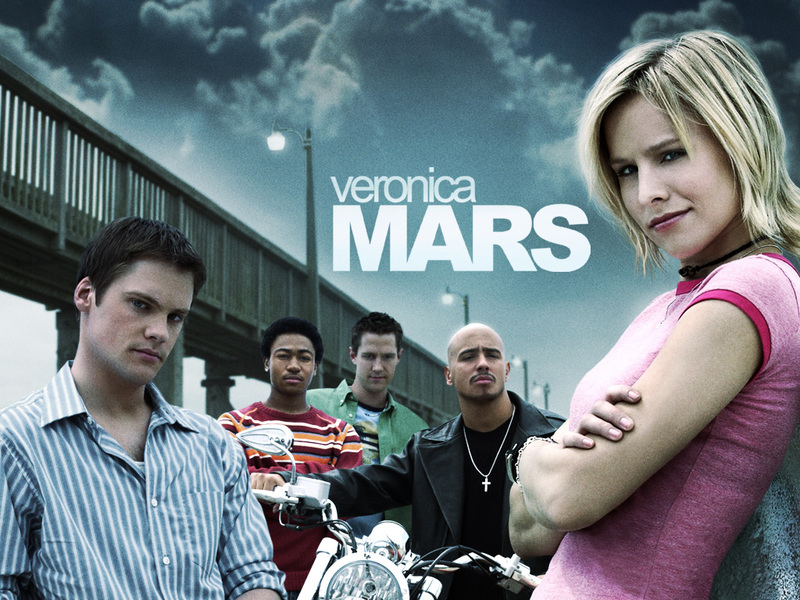 Veronica Mars is…a cross between Nancy Drew and a soap opera. She’s a high school student who works part time for her father, a local private investigator. That’s’ where the similarities to Nancy Drew end. Veronica has more adult problems. Her best friend was just murdered. Veronica was drugged and raped at a party. Her mother took off. And her father lost his job as sheriff in disgrace. And everybody at school now hates her. Yow! But I also love the structure of the show: one over-arching mystery each season, and a smaller mystery in each episode. Veronica is smart, savvy, and good at recruiting a team to help her with the skills she lacks. OK, I’m hooked. I’ve finished the first season, and rumor has it, might be getting seasons two and three for my birthday. I can’t wait! Doctor Who. I’ve posted about Doctor Who before, and from my posts some might conclude that I was a longtime fan. I wish I were. I now know what I’ve been missing all my life. The mad man in the blue box has whisked me away. And I couldn't be happier. 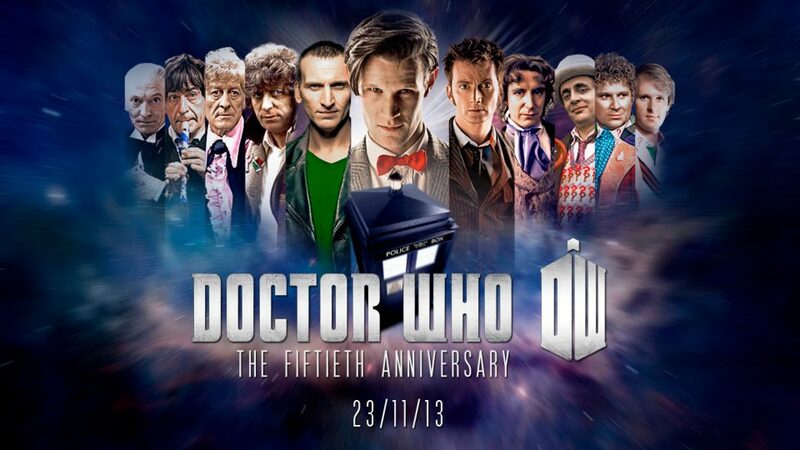 I’ve seen all the episodes since Eccleston, had a big party to celebrate the 50th anniversary episode, and I’m still going back, bit by bit, to watch episodes of the original--or as they like to a call it “classic” Doctor Who. Firefly. Still not all the way through this short series. It’s like space cowboys. I caught a few episodes during the middle of the night (during my download free time), but just picked up the DVD for Christmas. Watching with hubby. I expect to be just as outraged, as many of the fans were, that this series was canceled too soon. Although, since I love Nathan Fillion as Castle, I might not be signing any petitions to bring it back. 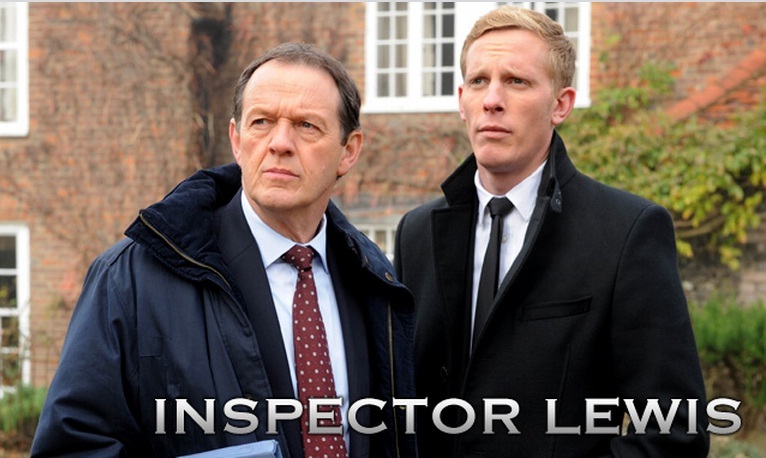 Inspector Lewis. British police procedural shot around Oxford. Fell in love with it streaming it on Amazon Prime while on vacation. Shoot me. I never was much of a PBS watcher, not since Sesame Street and Mr. Rogers. And now since I’m feuding with my local station (WNED-Buffalo) over their decision not to air Sherlock until a month after it has shown to the rest of the country, I’ll probably enjoy the BBC series they show as Masterpiece Mystery on DVD instead. See also Inspector Morse. Rosemary and Thyme. I’d never heard of this British import when someone suggested the mystery series I’m currently writing sounded similar (It’s not.) But I enjoy this series of two older women designing, constructing, and rehabilitating gardens, mostly in Great Britain but also in other European countries. Not many cozies are made into TV shows. This qualifies. Of course, while the term is new, I might be one of the pioneer binge watchers. Especially during the period of time when we didn’t have satellite or cable, I used to bring home sets to watch as my daughter was growing up. What fun to introduce her to all my favorite old shows! We watched Hardy Boys/Nancy Drew, The Muppet Show, I Spy, Mission Impossible, The Avengers, Remington Steele, and Scarecrow and Mrs. King and more. And I can stop anytime I want. Question: Do you binge watch? Have you discovered any new-to-you series this way? Barb, if you like Inspector Lewis and Rosemary and Thyme, you should also try The Inspector Lynley Mysteries, The Last Detective, and Foyle's War. Adding to my TBW list,CJ. Thanks! As you can see, I have a pretty eclectic viewing pattern. Love Inspector Lynley. I would Binge watch if they had enough on line...too short a season. Binge watching is big in our household. My husband works nights, so our DVR has a bunch of stuff on DVR. I have to admit I've not really followed any programming since our little man was born 4 years ago. Well, I DO know all about children's programming on Nick Jr, Disney Jr., Sprout, etc. I DVR his favorite shows so he can watch them when the mood strikes instead of having to wait until it pops up on the schedule. we have a few DVDs of Looney Tunes and Tom & Jerry. our little guy ADORES those. i've a feeling he'd love the Three Stooges slapstick if we ever got around to renting some of those. Ah, DebH, you're making me nostalgic for those days. The nice thing about binge-watching is anything you might be missing now will still be available when the kids grow up. I guess this makes it sound like I watch a lot of TV. Not sure that's the case. Sometimes I watch very little. But when, for example, I met my last writing deadline and felt totally burned out, that's when I burned through a whole season of Veronica Mars. Guilty as charged. I'm currently watching Drop Dead Diva and Nikita on Netflix. Hubby and older son are watching Prison Break, and youngest is seriously binging on his second round of Saved by the Bell. The flexibility is great for the busy lifestyle. I seriously wish I could stream Netflix. (Stupid Hughesnet!) The only thing I could do was the DVD service, and I'm not quite sure that works with binge-watching. I'd have to send the DVD back and then wait for the next one--if it was available. Eventually I ended up giving it up. With the price of DVDs still going down, I've been buying them instead. Well, slap me with a label and call me a sticker! So I'm a binge-watcher now, eh. I guess the label fits because I finally got to see Downton Abbey when my son gave me Seasons 1 & 2 for Christmas. I enjoyed them so much, I went out and bought Season 3. Watched them all between Dec 26th and 1st week of Jan. And then I finally found it is on my TV, but I have to look for Masterpiece theatre and NOT the title of the show itself. It's also on VISION TV where it loops over and over, but they're only on season 2. And speaking of Firefly, that baby was the first time I binge-watched 2 yrs ago when hubby bought the Firefly Episodes as a Christmas present. He'd watched the show on TV, but it was new to me. Didn't take more than 20 minutes to get me hooked though. And now when I watch Castle, I get a kick out of the little flicks of Firefly flashbacks that Castle erupts with. Love it! Loved the post, Barb. Thanks. I binge-watched the first season of Downton while hubby was at a banquet for one of his trips. That's where I left off, despite the hype. I guess I'm the non-historical Inky. Except for historical mysteries. Those I seem to be into. And yeah, the Firefly references on Castle are great. I loved the one where there was a murder at a Sci-Fi convention--involving the cast of a cult favorite TV show that was canceled in the middle of its first season. LOL. And I'm looking forward to watching Sherlock again. I've streamed each episode in the middle of the night since my local PBS affiliate hasn't aired them yet. But I'll get the DVD and watch them again when I'm completely awake, since I'm still livid at my PBS station. 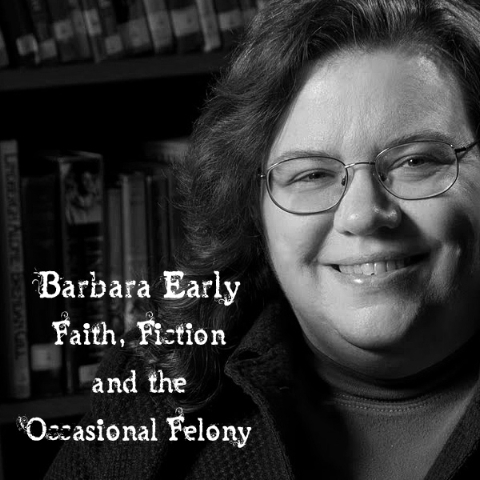 Barb, yes, binge watcher - or listener. I usually am working while listening. But watching or listening, I really enjoy being able to watch several episodes in a row. One of the shows I binge-watch is Friends. It makes me laugh. But I also binge-watch Castle, White Collar, and Monk. I haven't watched Sherlock or Dr. Who yet, but one of these days I will. The Rosemary and Thyme show sounds like one I would enjoy. I'll have to look for it. Certain shows I can listen to. I "watched" most of NCIS like that. There are a couple shows that are a little more dense, and if I try to just listen to them, I miss too much and just get confused. I find Sherlock and Doctor Who to be like that. Love those British mysteries. the latest new find for me was Broadchurch. Highly recommend it! Oooh. I loved Broadchurch! Anything with David Tennant is on my watchlist. Well, almost anything. I love Broadchurch. I couldn't remember the title. Thank you for that, J.E.! Did you know Fox is redoing Broadchurch WITH David Tennant? They're calling it Gracepoint. Not sure why they needed to remake it. The British version was spot on. I think they're filming in Canada. Oh, and ITV is doing a second season of Broadchurch. But it's unclear what role, if any, Tennant will play in it. No! I didn't know they were redoing it. Wow. Interesting. I really liked the British version. The locale was pretty when the sun was shining. Now forgive me, but was David Tennant one of the Dr. Who characters? Or Sherlock? I get them all confused. Sorry. Either way, I will watch Broadchurch's second season, and I'll watch Gracepoint. I was a little disappointed that NBC pulled the plug on the Murder She Wrote remake, although I guess anything MSW without Angela Lansbury wouldn't be MSW. Still, I was looking forward to the Octavia Spencer spin. It sounded kind of interesting. I spend hours looking for something on Amazon Prime. Thanks for suggesting Broadchurch! Ive binge -watched Downton ...that's all I can think of. You'll have to let us know what you think of Broadchurch. I was riveted. Barb, I thought of another British mystery series for you. Have you seen Cadfael? Another one? Maybe I should quit writing and focus on watching TV...(Just kidding.) Will check it out. Eventually. Thanks! Wonderful post and fun suggestions--I'm always looking for a really good series.